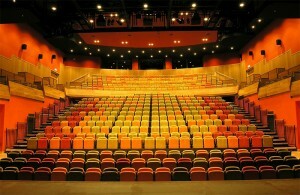 South west Wales has waited more than 25 years for a purpose-built, state-of-the-art theatre and on its completion in late 2012, Y Ffwrnes will be that facility. Partly funded by the Welsh Government and including the refurbishment of a listed chapel alongside a 504 seat auditorium and 100 seat Stiwdio Stepni, Y Ffwrnes will be run by Carmarthenshire County Council to provide a cultural and creative centre, offering space for community and professional events. 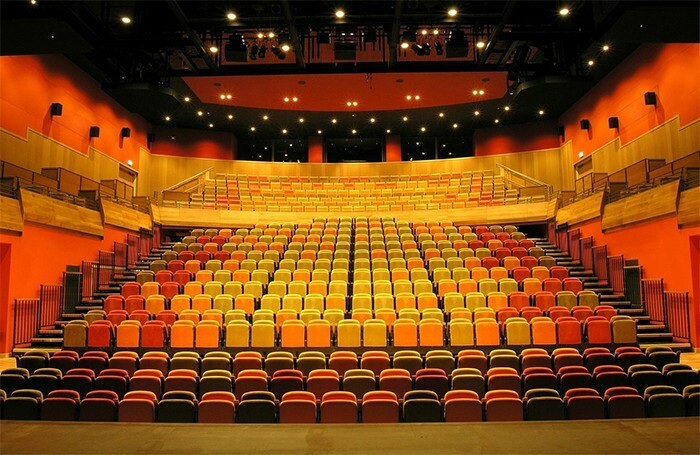 The theatre is set to achieve a BREEAM 'excellent' rating for environmental sustainability and is a key player in the regeneration of Llanelli. Y Ffwrnes is expected to attract some 70,000 visitors and provide new full and part time employment for 35 people. GDS UK dealer Northern Light were commissioned to install a complete sound and lighting package for Y Ffwrnes. Every theatre has its own special demands and requirements, at the heart of which lies the need for efficient and flexible stage management. To this end the consultants specified that the contractors installed the GDS Stage Manager's Console and CueSystem cue lights. The need to meet the exacting standards of environmental sustainability in modern theatre development, led the consultants to further specify the use of the GDS BluesSystem working-lights for all backstage areas. GDS supplied a bespoke wood-enclosed Stage Manager's console with all the specific facilities required by the theatre, including a 16 channel CueSystem. Other features included white and blue panel lighting, 4 preset digital lighting control, 2 channel intercom control, 3 zones of paging, digital timer and digital clock and LED stalk lights. 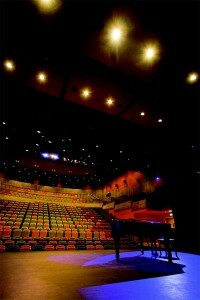 The backstage areas of both the main auditorium and the studio theatre were equipped with GDS BluesSystem. This product constitutes the industry standard worldwide for the provision of reliable, fully dimmable working light for backstage areas. Chris Baldwin, theatre designer for Y Ffwrnes commented: "The Main Theatre auditorium and stage uses 48 GDS Blues and Whites integrated into the 5-scene working light scheme, part under dimmer operation and part switched. These provide an excellent in-show access lighting solution, particularly to areas dimmed to minimum levels and in the public view." During the development of the SM Console, GDS worked closely with Antonia Collins of the Royal Welsh College of Music and Drama. As a vastly experienced stage manager and board member of the Stage Manager's Association for 10 years, as well as being a head of department at this prestigious education facility, there can be little doubt that few people were more qualified to advise GDS on developing and adapting this technology to meet the needs of the end user. In a down to earth appraisal of the SM Console, her’s surely has to be the last word: "What is key to the GDS Stage Manager's Console is not that it dazzles with a vast array of technology for technology's sake but that it does exactly what a stage manager requires and it does it really well. Of course the technological advances in producing a modern version of something that hadn't been revamped for a long time are wonderful but to the stage manager pushing the buttons, that takes a back seat. It's about the console doing what it's supposed to and that's where its true quality lies - in two words - it works."